Pretty much every succesful outfit comes down to wonderful textures that complement each other and bring out those quality materials that we love. After purchasing a bunch of socks and a couple of Drake's London's wonderful wool silk pocket squares, I was inspired to write a few words on this subject. The big prints Drake's uses are in their own league, but what really does it for me is the wool silk material (or the cotton they use for spring and summer collections) itself. 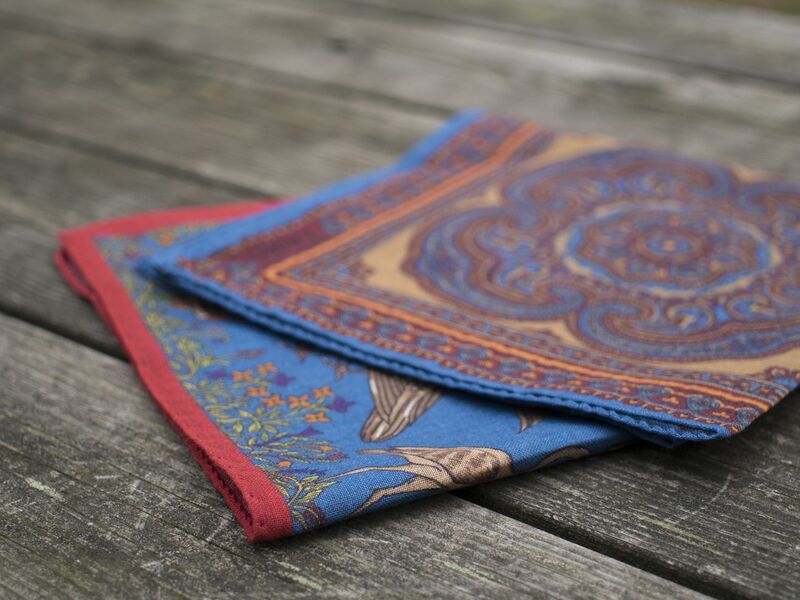 It has just the perfect weight, giving you totally free hands when it comes to folding your pocket square. It's very light, but not flimsy. Then we come to the texture, which gives it that final piece of character. Not too rough, but rough enough to be as versatile as possible. It will look right at home alongside a winter weight suit as well as a rougher tweed jacket. Here's one with a flannel jacket. Mr Porter's winter sale was especially good when it comes to socks. Lots and lots of interesting options were available, many from the most revered brands we know. I personally got some from Pantherella, Corgi and Falke, all considerably cheaper than they'd normally be. 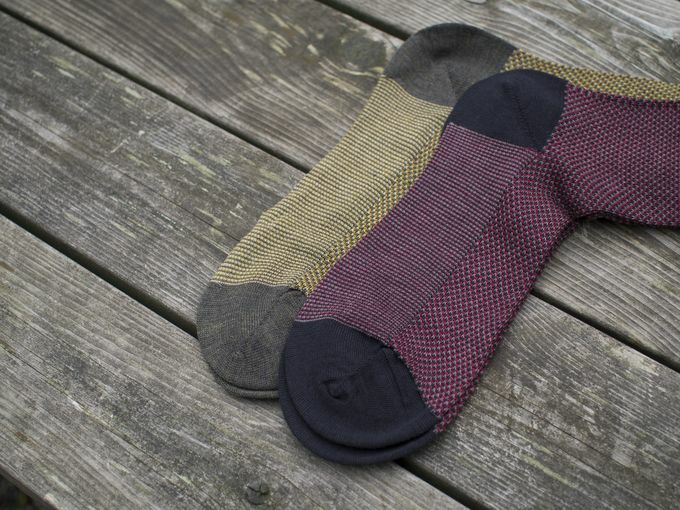 Anyway, I was especially impressed by these semi thick merino wool socks from Pantherella. Let's say you're wearing a navy wool suit, white shirt, an olive green wool tie, white pocket square, dark brown oxfords and you're wondering how to add that final touch without going overboard. Well, I would go with these birdseye knit socks. Socks with a seasonal texture with toned down but fresh colors are a great way to liven up a look, and it is exactly these minor details that will make the difference and elevate your look above others without drawing unwanted attention. 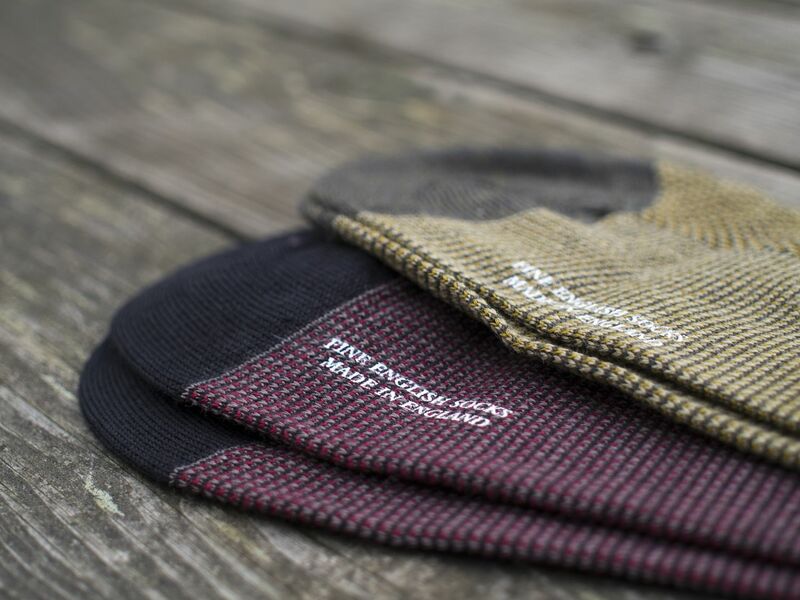 Tomorrow we'll have something more casual, so remember to check back for your daily dosage of style.